2019 Nomination Period ends tomorrow April 19th at 11:59 p.m.
Two (2) At-Large College Senate positions will become vacant on August 30, 2019 There are two (2) seats for academics or professionals. At-Large Senators represent the entirety of the college. All full-time faculty and professional staff are eligible to seek the At-Large Senator positions provided they meet other eligibility requirements (see below). There will be (1) one UFS-University Faculty Senate seat and (1) Alternate UFS seat vacant on August 30, 2019. All full-time faculty and professional staff are eligible to seek the UFS seat. A call for nominations and information about candidates’ statements can be found at www.buffalostate.edu/collegesenate. The Call for Nominations for the At-Large Senate positions begins on Monday, April 15 at 12:01 a.m. and continues through Friday, April 19 at 5:00 p.m. Elections for these positions will run from April 22 at 12:01 a.m. to April 26 at 11:59 p.m.
Senate Elections begin April 22-26th at 11:59 p.m.
Senate Elections conducted by the Schools of Arts and Humanities, Education, Natural and Social Science and Professions and the Professional Staff Caucus (PSC) should be concluded prior to the election cycle for the At-Large seats. Eligibility: Current College Senate members who are completing two consecutive terms in their respective positions are not eligible for re-election. For additional information on eligibility requirements, please consult the College Senate By-Laws available at www.buffalostate.edu/collegesenate. Individuals running for a Senator position in another election may not also run for At-Large Senator positions while the other election is being conducted. If the other election concludes during the period when nominations for At-Large Senators are still being accepted, eligible individuals may self-nominate for either position. If you are interested in being a candidate, please contact Vince Masci via email at mascivt@buffalostate.edu We look forward to your participation in the vital process of campus governance. The Senate Caucus is on May 10th 2019 to elect the Official Officers of the College Senate for the 2019-2020 academic year. The Senate Caucus takes place in Caudell 110 conference room @ 12:15-1:15. Please note that the Chair of the SWC is a student senator who will be elected at the fall 2019 meeting. This individual/candidate for officer positions should be present at the caucus to announce their candidacy. 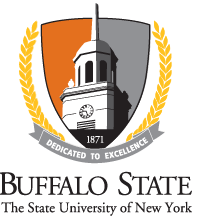 Alternatively, an e-mail of interest for committee chairpersonship must be e-mailed to Amy Rosen-Brand rosenba@buffalostate.edu by 11:00 a.m. on May 10, 2019. If interested in a chairing a standing committee and are e-mailing the notice, you must specify the standing committee you are interested in chairing. If there is a need to run an election for a contested chair seat, one will be held expeditiously after the caucus. dual will work along with the Vice Chair of SWC.